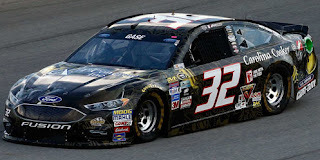 Joey Gase picked up the 2nd last-place finish of his NASCAR Sprint Cup Series career in Sunday’s Teenage Mutant Ninja Turtles 400 at the Chicagoland Speedway when his #32 JT Concrete / Carolina Cooker / Rocksteady / TMNT Ford finished under power, completing 254 of 267 laps. 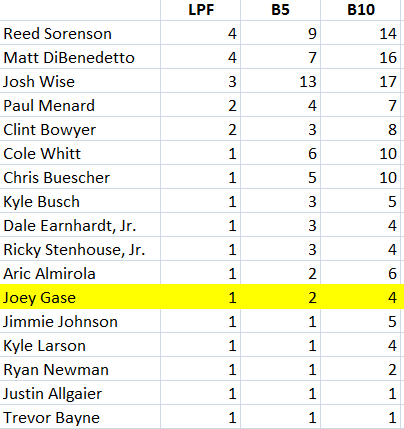 The finish, which came in Gase’s 11th series start, was his first of the season and first in Sprint Cup since last year’s spring race at Richmond, 54 races ago. Chicagoland marked Gase’s fourth Sprint Cup start of the season, all of them coming in Go FAS Racing’s #32 Fords. Of his three previous races at Phoenix, Martinsville, and Kansas, Gase’s best finish of the year came at the Arizona oval in March, where he ran 32nd, eight laps down. 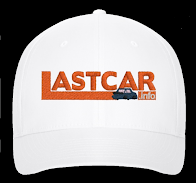 His focus has remained on the NASCAR XFINITY Series, where he again drives for Jimmy Means Racing in the veteran owner-driver’s white #52 Chevrolets. 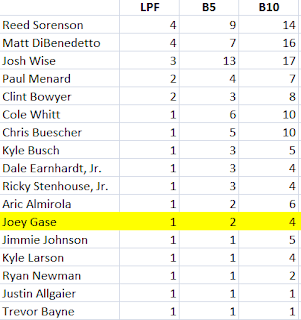 Gase’s best run in that series this year has been a 19th in the July race at Daytona. Gase would again run double-duty between the two series at Chicagoland. Gase’s ride for the Cup event was one of a combined nine special paint schemes across NASCAR’s top three divisions depicting characters from “Teenage Mutant Ninja Turtles.” Curiously, the six running in Sunday’s Cup race all adorned teams without a win: Tommy Baldwin Racing’s #7 Chevrolet, BK Racing’s #23 Toyota, Stewart-Haas Racing’s #10, Circle Sport-Leavine Family Racing’s #95, and Go FAS Racing’s #32. In order to be with his wife as she gave birth to their second child, Eliza Grace, Regan Smith handed his Raphael-themed ride to XFINITY Series regular Ty Dillon. Gase, with XFINITY sponsor JT Concrete, Inc. on the hood, ended up with the villainous Rocksteady. Gase ran 37th in Friday’s opening practice, and when qualifying was rained-out, had to be satisfied with the 38th spot on the grid. 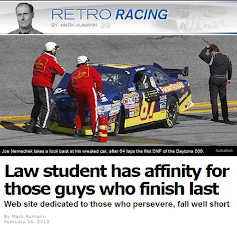 He then participated in Saturday’s XFINITY Series race, where he finished 26th in the Means #52. 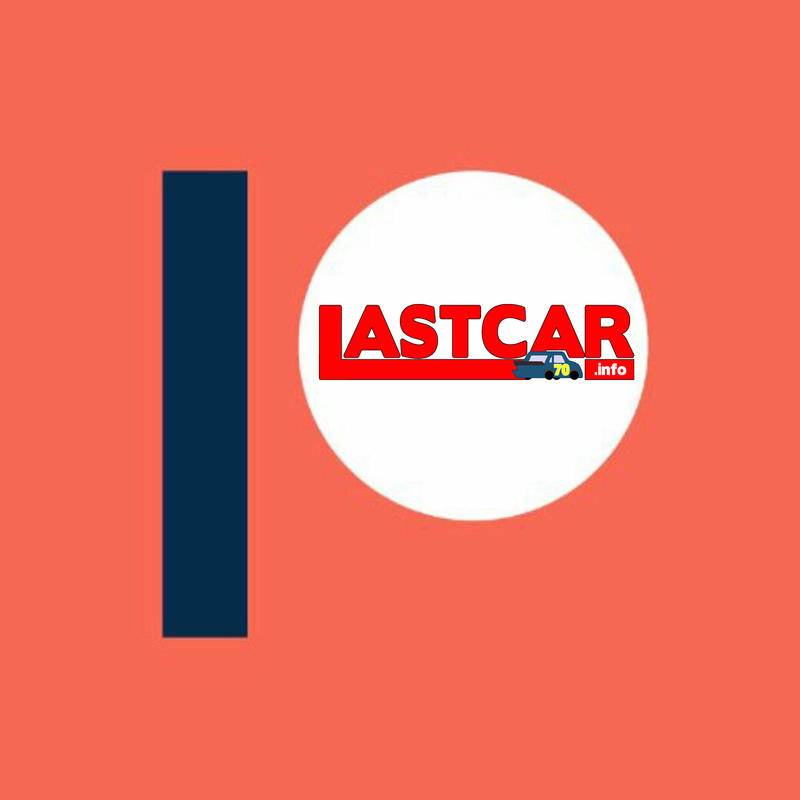 On Sunday, the 40th spot belonged to Josh Wise, running the second race of new sponsor IncredibleBank’s deal which came about just hours before Darlington. During the pace laps, however, Wise had a lot of company. Sent to the rear by NASCAR were Kyle Larson, penalized for a transmission change, and both Kevin Harvick and Aric Almirola, docked for an unapproved adjustments. By the end of Lap 1, all three had rushed past Wise, dropping the orange #30 Chevrolet to the 40th spot. Gase took 40th for the first time on Lap 4, and on the 15th circuit became the first driver to lose a lap to the leaders. 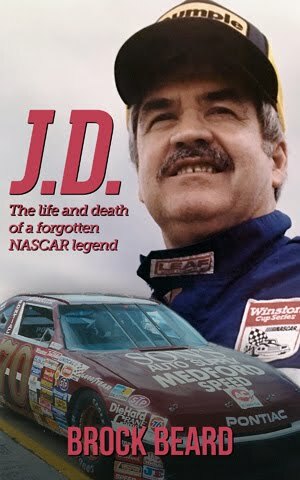 He lost a second on Lap 29, then a third on the 43rd go-round. On Lap 49, when the first caution fell during green-flag stops, it was Donatello’s turn in last as Michael McDowell’s own turtle-themed #95 Thrivent Financial Chevrolet was caught on pit road. The Lap 56 restart saw Reed Sorenson enter the picture, his #55 Vydox Plus Chevrolet dropped to the rear. Gase, still struggling in 39th, was by then drawing the ire of race leader Jimmie Johnson, who was frustrated by a difficult Lap 71 pass that put Gase a fourth lap behind. With such low attrition, Sorenson and Gase battled for 40th all afternoon. Sorenson retook 40th on Lap 87, Gase on Lap 105, Sorenson Lap 115, and Gase by Lap 153. From there, the #32 was no longer challenged, eventually losing 16 circuits in all to Sorenson’s 13. Even when McDowell’s right-front tire shredded, triggering the green-white-checkered finish, the #95 remained 37th at the finish. Wise’s lapped machine came home 38th while Cole Whitt, running a new look on his #98 Moen Chevrolet, rounded out the Bottom Five. This marked the third time in 2016 that all 40 cars finished a Sprint Cup race under power, joining Atlanta and the spring race at Richmond. It was also the second-straight year that all Cup starters finished the Chicagoland race under power, joining last year’s 43-car field trailed by Austin Dillon. *This marked the first-ever last-place finish for Gase and the #32 in a Cup race at Chicagoland.